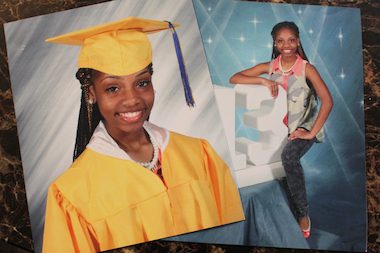 Last week friends, family, supporters and loved ones came out to show their final respects to slain teen Endia Martin. Abot 1, 000 people were in attendance for the home going celebration. The 14-year-old teen was shot and killed a few weeks ago in Chicago. She was allegedly shot by another 14-year-old girl in what police are calling a Facebook feud over a boy. The funeral for Endia Martin was held at St. Andrew’s Temple in Chicago. 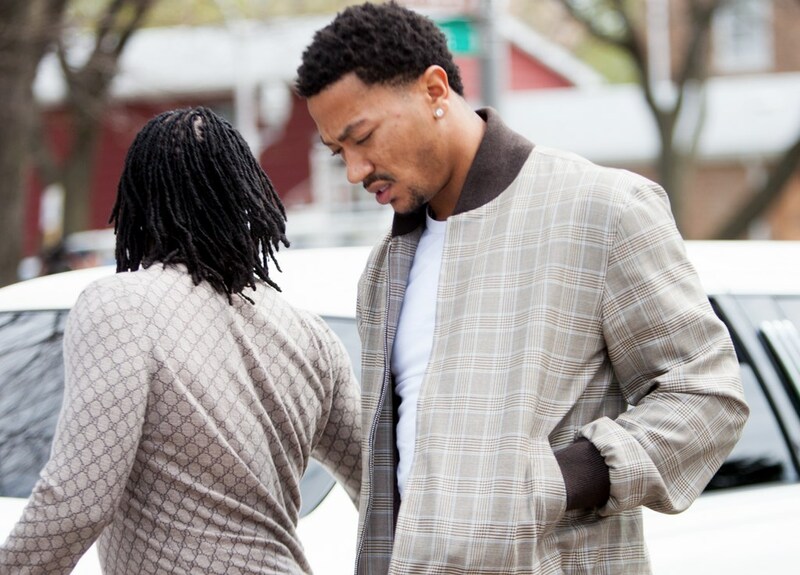 Chicago Bulls star Derrick Rose stopped by to show his respect to the family the Chicago Sun Times reports. Rose parked his Rolls Royce behind the white limousines and the hearse. Visibly moved, Rose paid his respects to the family and quickly left.He did not make any comments to reporters. Six people have been charged in connection to the crime. One of the people arrested includes a 14-year-old girl, who police say pulled the trigger. Police also say a 17-year-old boy was charged after he hid the gun used to kill Martin. The alleged shooter’s uncle, Donnell Flora, 25, is being held on $3 million bond; he is accused of bringing the .38-caliber revolver to the girl. The girl’s aunt, Vandetta Redwood, 32, is charged with being at the scene of the shooting, failing to take any action to stop it, then denying she was there. Also charged: a 17-year-old boy, accused of hiding the murder weapon afterward; and the gun’s former owner, Robert James, 34, accused of falsely reporting the gun stolen, then selling it illegally. “You are in our hearts, and your charisma, smile and caring ways has left a lifetime impact on all that have come across your path. Your smile will inspire us as we tell about your life,” wrote her father, Monroe Martin. This is a very tragic situation.